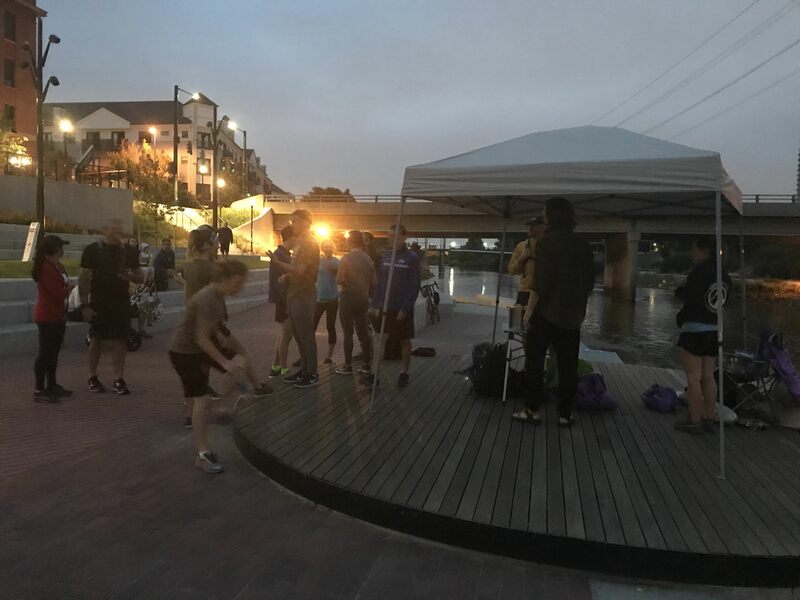 On September 7th at 6am, 21 participants and a handful of spectators showed up at Confluence Park to run the world’s first completely zero waste 5k. 32 registrants each paid $20 to participate in the inaugural event (that’s $640). A few of those registrants were really donors who emailed me after they registered and said they couldn’t make it, but they wanted to support. Of the 21 who ran, over 25% of them drove down from Boulder to participate - which, if you don’t live around here, is a 30ish minute drive. I love GitHub Pages, and I have all of my domain names with Namecheap. When I started setting up dii2019.org for the Denver Internet Initiative site, I decided that it was time to get serious and add https to a site for the first time - something that you can now do with GitHub Pages. Lots of Googling confirmed that Namecheap does not support CAA records, which is what I need for https configurations via Let’s Encrypt. But there’s always a workaround. As I went deeper down the rabbit hole I found this site: SSL Mate. Here I was able to generate an CAA policy (0 issue letsencrypt.org) that I could then load into Namecheap via their TXT record. Add in CAA as the host, plus your policy as the value and then you’ve done the hardest part! Now we just need to add 4 new A Records. If you already have the two original A Records for http with GitHub Pages, you’ll want to delete those. In their place you’ll add these IP addresses: 185.199.108.153, 185.199.109.153, 185.199.110.153, 185.199.111.153. If you already have DNS set up with GitHub you’ll need to remove your domain name and then add it back so that your settings update (you may need to do this again later if your changes take a while to propogate). And of course, don’t forget your CNAME record if you haven’t added it yet. That should do it. Your GitHub Pages site is now secure with a custom domain. On January 3, 2017, Github came out with the ability to search commit histories. Commits are chunks of code, normally accompanied by a message that explains what this new code does. The circumstances under which you write commit messages are ripe for profanity. Celebratory profanity, when you conquer a major bug. Frustration profanity, when your code will not cooperate. And the winner is Damn with 448,944 appearances. This total includes other popular derivatives like “Goddamn” and “Damnit”. Quick backstory: in Prague, William, Georgia and I took a graffiti class with a local street artist. That is how we ended up with 7 cans of partially used spraypaint. Now you’re all caught up. 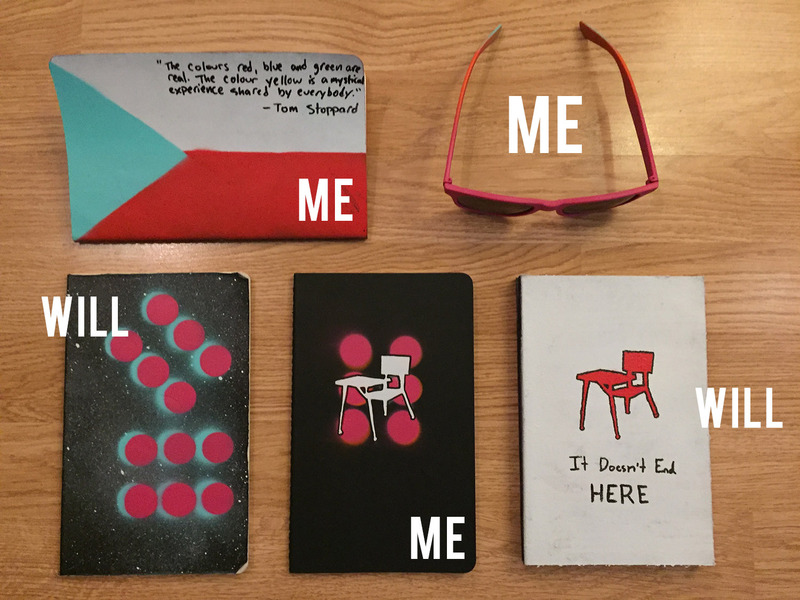 In response to Timmy Ham’s challenge to “make something you own your own”, William and I painted some of our notebooks and a pair of sunglasses with our remaining paint. There is a certain sense of pride that comes along with using something that you have made uniquely your own. I challenge those of you reading this to also “make something you own your own”.